An estimated annual $175-billion business, the illegal trade in wildlife is the world’s fourth-largest criminal enterprise. It stands to radically alter the animal kingdom. In October 1994, I was on assignment in Vietnam’s northern Truong Son Mountains, hard against the Laos border at an illegal logging camp on the remote Khe Môi River. I was accompanying a group of scientists conducting biodiversity surveys in previously unexplored areas. The primary forest here harboured a wealth of rare mammals, with remnant populations of elephant, tiger, gibbon, pangolin, barking deer and the just-discovered saola — or Vu Quang ox. After several weeks in the jungle, the scientists had extended this bio-bonanza to numerous undescribed species of snakes, frogs and insects, typically found during night excursions. On reconnaissance one evening, I waded upriver, searching out entrances to smaller streams to return to later. Rounding a bend, I surprised a clutch of men huddled around a fire on a sandbar. Clad in rags, skin darkened by smoke and grit, they radiated conspiracy — and with reason. Behind them sat a brace of ancient rifles and bamboo-frame packs on which were lashed the dried bodies of several gibbons and sun bears — both critically endangered species afforded the highest level of protection under the Convention on International Trade in Endangered Species, also known as CITES. As the men closed ranks to avoid eye contact, I waded past against the far bank, ludicrously pretending I hadn’t noticed anything. The poachers were undoubtedly killing time until dark, when they’d presumably make their way downriver to trade their booty along a pipeline to China, the beckoning maw into which most of the world’s illegally obtained wildlife flows. Though I’d never beheld such a scene, I knew precisely what I was looking at: if Southeast Asia’s remaining forests were a gold mine of wildlife resources, then exotic outposts such as the Khe Môi were its cutting face, a tableau of lawless isolation where CITES was meaningless. What I didn’t know at the time was that the same could be said of Canada’s vast forests for the same reasons and, perhaps worse, that one could also buy the equivalent of a powdered gibbon smoothie on the streets of Vancouver. While Environment Canada’s wildlife enforcement directorate is responsible for enforcing regulations of, among others, the Migratory Birds Convention Act, the Wild Animal and Plant Protection and Regulation of International and Interprovincial Trade Act, the Species at Risk Act and the Canada Wildlife Act, it has only 75 field officers nationwide. Excluding the Department of Fisheries and Oceans, across all other government organizations and levels in Canada, less than 1,500 people attend to wildlife laws — compared with 70,000 police officers. That makes modern intelligence- gathering methodologies crucial to efficiency, as does using the resulting information to decide where the biggest problems are and how to leverage the right partnerships to deal with them — a sort of jurisdictional triage. In practice, wildlife trade fits into a broader category of connected “environmental crime” that includes pollution, illegal fishing and logging (with up to one-third of the world’s paper obtained from illegally sourced wood, economic impacts accrue for countries such as Canada that strictly regulate such sectors). Jordan works both to squelch internal trade and to identify and cut off export and import routes of everything from butterflies to birds to fish to frogs. 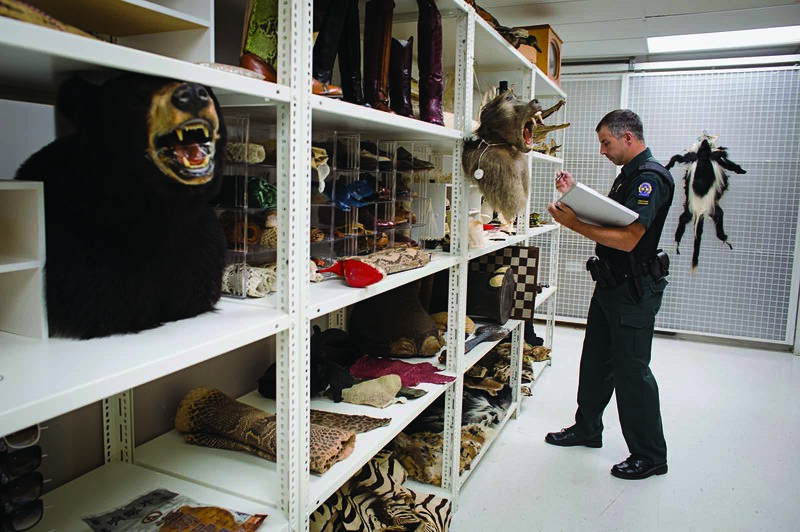 Between 2015 and 2016, the wildlife enforcement directorate logged 4,900 inspections, 908 enforcement measures, 167 new prosecutions and 158 convictions, handing out a record $1.1 million in penalties. The wildlife enforcement directorate engages not only in enforcement but also in proactive training and joint efforts aimed at stemming illegal activity while protecting legal trade. For example, non-threatened Canadian populations of globally threatened wildlife provide economic opportunity to communities when managed sustainably. Emblematic is our most iconic large mammal, the polar bear. While Canada’s significant efforts to protect its populations ensure their continued health, polar bears continue to confer cultural, sustenance and economic benefits to many isolated Indigenous communities. But when auction prices for hides spiked from $5,000 to $25,000 apiece several years ago, illegal harvest rose in tandem. In response, the wildlife enforcement directorate joined provincial, territorial and federal agencies to collaborate with Indigenous communities on an approach to identify and track legal polar bear hides from harvest through export, including DNA analysis and tagging with easily scanned microchips. These provide information on when and where a hide was obtained, helping thwart illegal trade while facilitating a more efficient tracking process for legal hides. But while this system can help with non-compliant exports, the tide of illegal imports, according to Jordan, continues unabated. 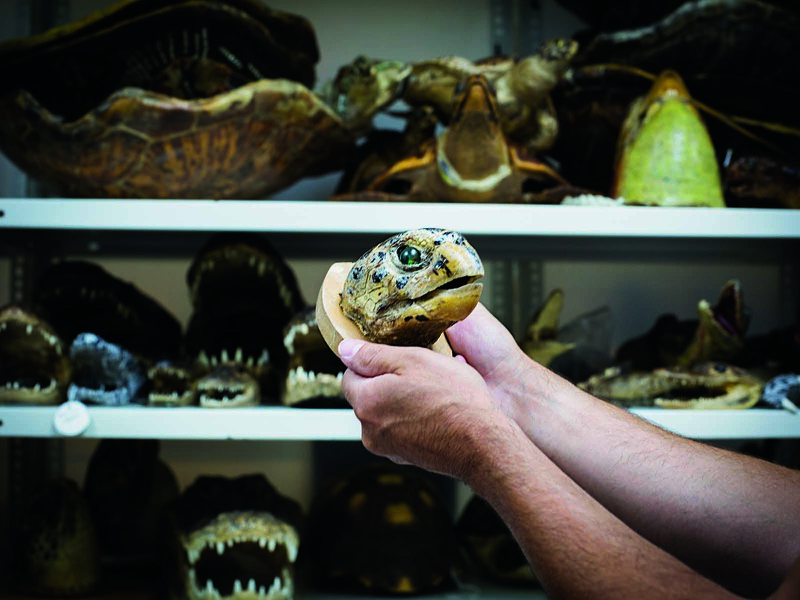 In the early 1980s, a curator at Ottawa’s Museum of Nature invited me to tour a warehouse across the river in Gatineau, Que., where illegal wildlife items seized at Canadian airports, seaports and border crossings were stored. I recall a dimly lit mortuary of metal shelves stacked floor to ceiling with stuffed, glassy-eyed crocodilians and birds, sea turtle carapaces, conch shells, rolled snakeskins, numerous ivories, and the hides of lions and tigers and bears. Though this particular cache has long since been destroyed, the wildlife enforcement directorate currently maintains small exhibit rooms near Toronto and Ottawa stocked with similar items, plus a pharmacopoeia made from prohibited plant and animal species. While the sheer scope of material remains disturbing, a single rhino horn sitting on a shelf also can’t help but conjure a gruesome image of its deceased owner, bleeding in the dirt, horn severed from its head. And that raises a troubling question: How long until these great beasts are gone from our midst? Meanwhile, Asian enclaves in large North American cities will continue to keep to traditional beliefs despite the cultural — and legal — prohibitions of the West. 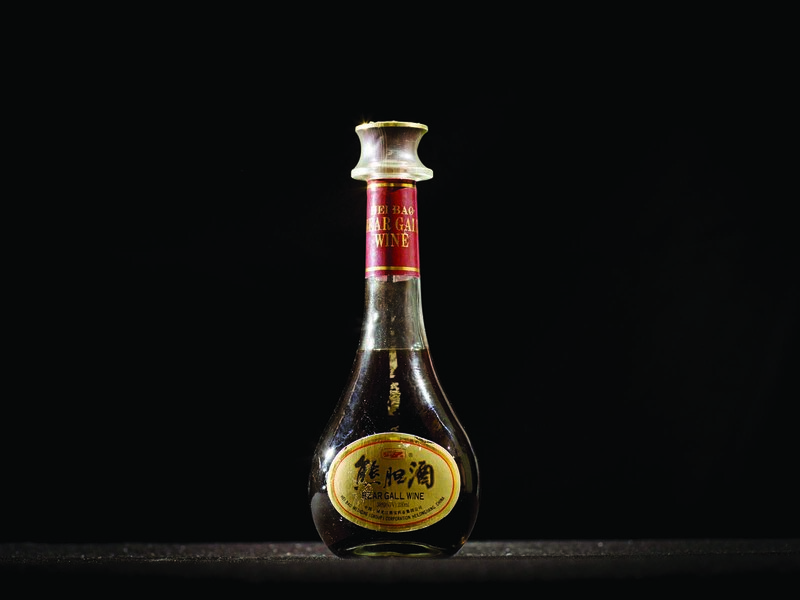 “There’s a large trade in anything charismatic or useful in traditional medicines that mainly has Asian Canadians as clients,” says Jordan, echoing news reports about what one might find during a tour of Chinese markets and apothecaries in Toronto and Vancouver, where all manner of live (turtles, fish), dried (geckos, sea cucumbers, shark fins) and powdered (endangered large mammal bits) contraband is transacted. China itself, however, may be coming around, having pledged, at least, to ban ivory by the end of the year. Jordan wishes them luck, knowing the trade will simply go underground for a few years. Pollution, smuggling and poaching are rising at five to seven per cent per year — double the pace of world economic growth — and Canada is in lock-step with this increase. Before encountering the Khe Môi poachers, I’d already seen how China’s insatiable appetite for alimentation, wishful aphrodisiacs and traditional medicines accounted for many of Vietnam’s endangered species — and several that soon would be. When a single king cobra could net US$200 — equivalent to Vietnam’s average annual wage at the time — providing for a hungry family trumped all. The traffic I observed in consumable snakes and frogs alone was staggering — thousands crammed into burlap sacks crossing into China every day. Add in lizards, turtles, fish, birds, mammals and invertebrates, with the same occurring in a hundred other countries, and you had a major global crisis. This was the real China syndrome — not the nuclear meltdown of the eponymous 1979 Hollywood flick, but a biodiversity apocalypse now. Though you can receive up to five years in jail for wildlife smuggling in Canada, Jordan has never seen more than a four-month sentence, attributable, he believes, to a perception of environmental crime as victimless among a judiciary hardened by drug crimes with clear human cost. For instance, if a smuggler brings in a kilo of fentanyl, it’s assumed a certain number of people will die; not so with a kilo of endangered critters. But where Canadian law leaves things up to the discretion of a court system, U.S. legal proscriptions are stronger, the penalties much harsher: a Waterloo, Ont., man caught heading south with dozens of turtles in his pants is now serving 57 months in an American jail. Busts can be dramatic — worthy of reality TV treatment. In a case near Cornwall, Ont., Canadian and U.S. authorities monitored a boat as it crossed the St. Lawrence River from New York to Ontario to deliver boxes to a waiting van. With officers descending on the smugglers, a woman took off with the boat, while the man driving the van was arrested. 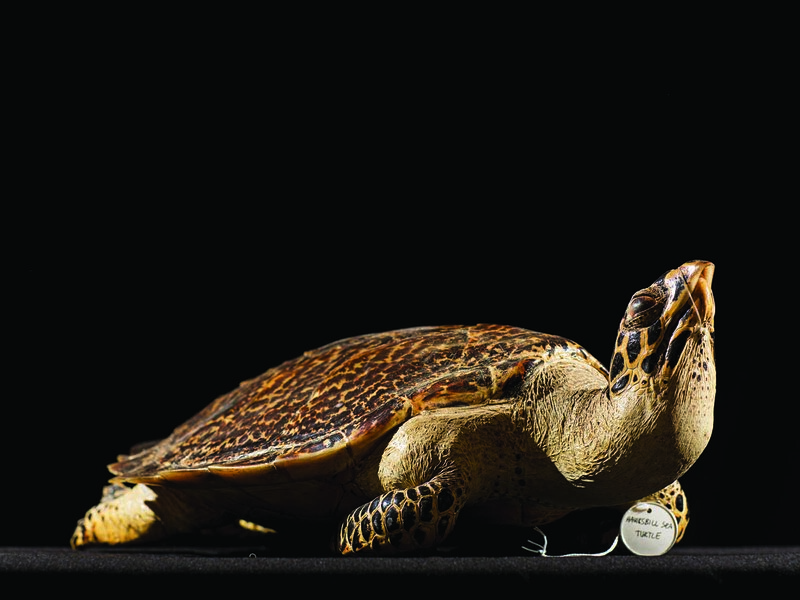 The boxes contained Chinese striped turtles, African sideneck turtles, South American red-footed tortoises and numerous lizards bound for pet stores and private collections. Ontario averages four or five such files a year. “Of course, we don’t know how much we’re not detecting,” Lonny Coote, the wildlife enforcement directorate’s director for wildlife enforcement in Ontario, told the Canadian Press in 2016. According to documents obtained under warrant, Dennis Day, the man arrested, processed more than 18,000 illegal reptiles with a street value of $700,000. Convicted of smuggling in 2013, his sentence was a $50,000 fine and six months in jail to be served on weekends. The boat driver was charged and convicted by U.S. officials. A third conspirator, who owned a Montreal reptile store, received a $45,000 fine and was successfully sued by the store’s landlord after 250 reptile carcasses were discovered inside the building’s walls. When it comes to illegal wildlife trade, stemming the tide of supply requires lowering the high-water mark of demand, a difficult proposition when you’re up against human nature, ingrained cultural beliefs and big money. Though this equation has always existed, it’s compounded by the nouveau riche of emerging economies who can now afford products previously seen as luxuries. On that Vietnam sojourn two decades ago, illegal wildlife trade was apparent everywhere: local markets sold putatively protected animals, restaurants specialized in them, the Hanoi hotel where I stayed had a snake dealer in the lobby, gift shops brimmed with animal contraband and illegal — yet state-sanctioned — logging was legion. Worst was the mid-coastal port of Vinh, where our group was guided on an incomprehensibly heart-wrenching tour to view live animals — sun bears, clouded leopards, pangolins, monitor lizards, pythons and birds kept under appalling conditions in hopes they could somehow be sold before they died. My biologist companions had tears in their eyes as we left town. Canada’s task seems clearer in Jordan’s top three issues: the export trophy trade in vulnerable species, the import of high-value prohibited material such as ivory and rhino horn, and the emerging threat of invasive species, which can wreak havoc on ecosystems and also carry parasites and pathogens that can harm Canadian wildlife. The good news? Technology is aiding enforcement — drones and remote-triggered cameras have made it easier to identify and locate wildlife poachers both abroad and in Canada. The bad news is that environmental criminals are using the same technology — as well as the Internet, where you can purchase anything and, perhaps in the near future, have it dropped at your house via drone. The street value of an illegal live gyrfalcon? An estimated $360,000. The value of a kilo of heroin, the most expensive narcotic by weight? About $135,050. The following chart compares the prices (in Canadian dollars) of select illegal wildlife and drugs based on a recent report from the wildlife enforcement branch of Environment Canada — more proof wildlife crime is big business.